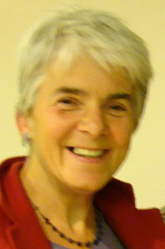 Frances Webber is a retired immigration and refugee barrister, formerly at Garden Court Chambers, London, and currently a part-time visiting lecturer at Birkbeck College, University of London (legal practice), she is vice-chair of the Institute of Race Relations (London)’ Council of Management, contributor to the IRR Race and Refugee online News Service and author of the book Borderline Justice: the fight for refugee and migrant rights (2012). In recent years, there has been renewed emphasis on the exclusion clauses of the Refugee Convention and the OAU Convention, in the context of wars of aggression, civil wars, ethnic conflicts and terrorism in many parts of the globe, and increasing reluctance on the part of asylum states to play host to those perceived as criminal or otherwise undesirable. It is often difficult to ascertain whether a member of an armed group, or a supporter or sympathiser who has given some form of support to such a group, should be excluded from refugee status. There has been much litigation on the meaning of some of the phrases used in Article 1F of the Refugee Convention. In respect of whom there are serious reasons for considering that he [or she] has committed a crime covered by the provisions of treaties of extradition or a crime mentioned in article VI of the 1945 London Charter of the International Military Tribunal or by the provisions of article 14, paragraph 2, of the 1948 Universal Declaration of Human Rights [which denies the right to seek and enjoy asylum in the case of prosecutions genuinely arising from non-political crimes or from acts contrary to the purposes and principles of the United Nations]. References to Article 1F therefore include references to Article I(5) of the OAU Convention and to para 7(d) of the UNHCR Statute. As UNHCR points out in Guidelines on International Protection: Application of the Exclusion Clauses (2003), the exclusion clauses are not to be confused with Article 32 of the Convention, which deals with the expulsion of recognised refugees who pose a danger to the host State, and Article 33(2), which withdraws protection from refoulement from such people, either because of serious criminal conduct after the grant of status, or because of risks to national security from the refugee’s continued presence in the asylum state. If someone falls within the exclusion clauses of Article 1F, exclusion from refugee status is mandatory. States have no discretion to grant refugee status to those whose actions place them outside its protection (although such persons may be eligible for other forms of protection - for example, the 1984 Convention Against Torture and Other Cruel, Inhuman or Degrading Treatment or Punishment absolutely prohibits removal to a country where returnees run a real risk of being tortured, and in European states signatory to the European Convention on Human Rights, they cannot be returned to a state where there is a real risk of torture, inhuman or degrading treatment or subjection to the death penalty, however heinous their crimes: see Chahal v United Kingdom (1996) 23 EHRR 413). (3) “Considering” is stronger than “suspecting”. In our view it is also stronger than “believing”. It requires the considered judgment of the decision-maker. (4) The decision-maker need not be satisfied beyond reasonable doubt or to the standard required by the criminal law. It is not sufficient that the act in question could be one falling within the exclusion clauses; it must be established that it would be: Moreno v Canada (Minister of Employment and Immigration) (1994) 1 FC 298. It is for the asylum state to determine whether the refugee claimant falls within one of the exclusion clauses. States are expected to pay due regard to the advice of UNHCR in the light of its supervisory mandate. The disqualifying conduct is defined as crimes against peace, war crimes or crimes against humanity, as defined in relevant international instruments (1F(a)); serious non-political crime committed outside the country of refuge prior to admission as a refugee (1F(b)); and acts contrary to the purposes and principles of the United Nations (1F(c)). At the time of the drafting of the Convention, the main international instrument which defined crimes against peace, war crimes and crimes against humanity was the 1945 London Charter of the International Military Tribunal. However, Article 1F(a), in common with the other Articles of the Refugee Convention, has a dynamic meaning not limited to matters which were considered crimes against peace, war crimes or crimes against humanity in 1951. The UNHCR Handbook lists in Annex VI other international instruments seen as relevant to determining the scope of Article 1F(a) of the 1951 Convention, and further international instruments which post-date the UNHCR Handbook are also relevant to the definition as applied today. Relevant international instruments therefore include (in addition to the 1945 London Charter) the 1948 Convention on the Prevention and Punishment of the Crime of Genocide, the 1949 Geneva Conventions for the protection of victims of war (Convention for the protection of the wounded and sick, Article 50; Convention for the protection of wounded, sick and shipwrecked, Article 51; Convention relative to the treatment of prisoners of war, Article 130; Convention relative to the protection of civilian persons, Article 147); the 1973 International Convention on the Suppression and Punishment of the Crime of Apartheid; the two 1977 Additional Protocols to the Geneva Conventions Relating to the Protection of Victims of International and non-International Armed Conflicts, the Statutes of the International Criminal Tribunals for the former Yugoslavia and Rwanda, and the 1998 Rome Statute of the International Criminal Court, which entered into force on 1 July 2002. The provisions of the Rome Statute Articles 6, 7 and 8 (genocide, crimes against humanity and war crimes) are supplemented by the document ‘Elements of Crimes’ which set out all the contextual elements for each crime, as an aid to the ICC. Finally, the draft Code of Offences against the Peace and Security of Mankind, in process by the International Law Commission since 1947, provides a framework for defining these crimes in the refugee exclusion context. (a) Crimes against peace: namely, planning, preparation, initiation or waging of a war of aggression, or a war in violation of international treaties, agreements or assurances, or participation in a common plan or conspiracy for the accomplishment of any of the foregoing. The Rome Statute of the ICC lists a ‘crime of aggression’ in its Article 5, although it has not yet been defined. The crime of aggression has been defined by the UN General Assembly (in UNGA res 3312 (XXIX), 1974) as ‘the use of armed force by a State against the sovereignty, territorial integrity or political independence of another State, or in any manner inconsistent with the Charter of the United Nations’. (ii)(xxvi) Conscripting or enlisting children under the age of fifteen years into the national armed forces or using them to participate actively in hostilities. (ii)(iv) The passing of sentences and the carrying out of executions without previous judgement pronounced by a regularly constituted court, affording all judicial guarantees which are generally recognised as indispensable. (f) Paragraph 2 (e) applies to armed conflicts not of an international character and thus does not apply to situations of internal disturbances and tensions, such as riots, isolated and sporadic acts of violence or other acts of a similar nature. It applies to armed conflicts that take place in the territory of a State when there is protracted armed conflict between governmental authorities and organised armed groups or between such groups. In SK (Zimbabwe)  EWCA Civ 807, the English Court of Appeal upheld a decision that a former member of the ZANU PF youth militia who had beaten farm workers in mass farm invasions had committed ‘other inhumane acts’ (Article 7(1)(k) of the Rome Statute), and these crimes against humanity excluded her from refugee protection. Not only those who actually carry out the acts set out in the international instruments are liable for exclusion under Article 1F(a). Article 6 of the 1945 London Charter provides for responsibility of: ‘Leaders, organisers, instigators and accomplices participating in the formulation or execution of a common plan or conspiracy to commit any of the foregoing crimes’ who are responsible for ‘all acts performed by any persons in execution of such plan’. Article 25 of the Rome Statute sets out the varieties of individual liability to include ordering, soliciting, inducing, aiding, abetting or in any other way knowingly contributing to the commission or attempted commission of the crime by a group of persons acting with a common purpose. In Mugesera v Canada the appellant had in November 1992, prior to his admission to Canada, been an active member of a hard‑line Hutu political party who had spoken to about 1,000 people at a meeting of the party in Rwanda to oppose the negotiation process then under way to end the war in Rwanda. He conveyed to his listeners, in extremely violent language, the message that they faced a choice of either exterminating the Tutsi or being exterminated by them. The Immigration and Refugee Board held that by delivering the speech in the context of the ethnic massacres taking place at that time, the appellant had incited to murder, genocide and hatred, and had committed a crime against humanity, and excluded him from refugee status. The Supreme Court upheld the IRB’s decision. Article 28 of the Rome Statute gives military commanders and superiors responsibility for actions of their forces or subordinates, not only where these actions result from the commander’s orders but also as a result of their failure to exercise proper control over such forces or subordinates, where they knew or should have known that such crimes were being or were about to be committed and where they failed either to take all necessary and reasonable measures to prevent them or subsequently to submit them to the competent authorities for investigation and prosecution. In Sivakumar v Canada the appellant, a leader of the Liberation Tigers of Tamil Eelam (LTTE), was held responsible for crimes against humanity committed by the LTTE although he had not personally participated in them, because of his leadership position within that organisation and his continuing participation in it. Goodwin-Gill points out in The Refugee in International Law (p101) that while superiors may be responsible for the actions of a subordinate, the subordinate will not be relieved of responsibility. Soldiers who are ordered to carry out war crimes or crimes against humanity are guilty, since ‘individuals have international duties which transcend the national obligations of obedience imposed by the individual State’ (Judgment of the International Military Tribunal, 41 AJIL 172 (1947), cited in Goodwin-Gill p100). In Ramirez v Minister of Employment and Immigration  2 FC 306, the Federal Court of Canada held that ‘mere membership in an organisation which from time to time commits international offences is not normally sufficient for exclusion from refugee status. It seems apparent, however, that where an organisation is principally directed to a limited, brutal purpose, such as a secret police activity, mere membership may by necessity involve personal and knowing participation in persecutorial acts. Similarly, mere presence at the scene of an offence is not enough to qualify as personal and knowing participation though, again, presence coupled with additional facts may well lead to a conclusion of such involvement. At bottom, complicity rests in such cases... on the existence of a shared common purpose and the knowledge that all of the parties in question may have of it’. Exclusion will thus depend on the nature of the organisation (whether brutality is a sine qua non of the organisation or merely incidental), and the status, role and extent of knowledge of atrocities of the refugee claimant. The ICTY discussed individual responsibility in 2005 in the case of Kvocka et al under four headings – instigation, commission, aiding and abetting, and participation in a joint criminal enterprise. It held that presence at the scene of a crime, while not in itself conclusive of aiding or abetting, could give rise to liability if presence had a significant legitimising or encouraging effect on the principal actor(s). A joint criminal enterprise exists wherever there is a plurality of persons, a common plan and participation of the individual in the execution of the common plan. Where the person concerned has ‘carried out acts that substantially assisted or significantly effected the furtherance of the goals of the enterprise, with the knowledge that his [or her] acts or omissions facilitated the crimes committed through the enterprise’, exclusion can follow on the basis of joint enterprise (Kvocka para 312). In R (on the application of JS (Sri Lanka)) v Secretary of State for the Home Department  UKSC 15, the Supreme Court considered the case of a claimant recruited to the LTTE at the age of ten, who had continued in combat and intelligence roles until he was 24. His claim had been rejected on the ground that his ‘own evidence shows voluntary membership and command responsibility within an organisation that has been responsible for widespread and systemic war crimes and crimes against humanity’. The Court of Appeal reversed this decision, holding that the decision-maker acted on a wrongful presumption that the claimant, as a member of the LTTE, was therefore guilty of personal and knowing participation in such crimes, instead of considering whether there was evidence affording serious reason for considering that he was party to that design, that he had participated in a way that made a significant contribution to the commission of such crimes and that he had done so with the intention of furthering the perpetration of such crimes. The Supreme Court held that this was too narrow a formulation, holding that a person would be disqualified under Article 1F(a) if there were serious reasons for considering him voluntarily to have contributed in a significant way to the organisation's ability to pursue its purpose of committing war crimes, aware that his assistance would in fact further that purpose. As to mens rea, if a person was aware that in the ordinary course of events a particular consequence would follow from his actions, he would be taken to have acted with both knowledge and intent. The recent Canadian Supreme Court case of Ezokola, involving a senior official of the Democratic Republic of Congo, posits a tighter test for exclusion under Article 1F(a). The Immigration and Refugee Board had excluded the appellant from refugee status, and the Federal Court had held that a senior official could ‘demonstrate personal and knowing participation and be complicit in the crimes of the government by remaining in his or her position without protest and continuing to defend the interests of his or her government while being aware of [its] crimes’. The Supreme Court rejected the idea that ‘mere associations or passive acquiescence’ could found complicity and so lead to exclusion. In The law of refugee status, pp218ff, Hathaway described defences of self-defence, coercion, state of necessity or force majeure which have availed certain refugee claimants, where the courts recognised their absence of intent, where they performed the act in question only to avoid ‘grave and imminent peril’. But he questions the failure of the Immigration Appeal Board in the case of Chilean torturer Felix Nunez Veloso to consider whether the defence of duress should avail someone responsible for a number of deaths, given that the human suffering caused by the claimant outweighed that which he would face even by execution. In AH (Algeria)  EWCA Civ395, the appellant had been convicted in his absence of a bombing in Algeria and sentenced to death, and in France he was convicted of membership of an association formed with a view to the preparation of acts of terrorism, and sentenced to two years’ imprisonment. His asylum claim in the UK was refused under Article 1F(b) for serious non-political crime. The Court of Appeal, overturning the refusal, held that the assistance which could be derived from a conviction in a decision to exclude depended on the nature of the offence and the findings of the convicting court as to the offender’s true role and personal involvement. The facts found by the French court were too sparse to enable the tribunal to determine the appellant’s role in the group and there was no evidence of instigation encouragement or inducement. The court added that signatory states were not free to adopt their own definitions of what constituted serious crime under Article 1F(b). Then, the crime must be non-political. According to para 15 of the UNHCR Guidelines, a serious crime should be considered non-political when it is committed predominantly for other motives (such as personal reasons or gain). Where no clear link exists between the crime and its alleged political objective or when the act in question is disproportionate to the alleged political objective, non-political motives are predominant. Thus, particularly cruel actions, or acts of terrorism against civilians, may be classified as serious non-political crimes, even if committed with an allegedly political objective. In the UK House of Lords (Supreme Court) case of T v Immigration Officer  AC 742, the refugee claimant was an Algerian who had been involved in plans to bomb a civilian airport, as part of the struggle against the military regime there. The Court held that although a crime is political for the purposes of Article 1F(b) if it is committed for a political purpose (eg, to overthrow a regime or to induce a change in government policy), there must be a sufficiently close and direct link between the crime and the alleged purpose, and such link is destroyed if it was likely to involve indiscriminate killing or injury to members of the public. By applying the concept of proportionality, the international jurisprudence has defined as ‘non-political’ many offences involving not just terrorism but also public order offences, notwithstanding their political motivation and intention. In the US Supreme Court case of Aguirre-Aguirre v. Immigration and Naturalization Service (INS), 119 S.Ct. 1439 (1999), involving a Guatemalan asylum seeker who had burned buses, assaulted passengers and damaged property during protests against the government, the Court upheld the Board of Immigration Appeals’ decision that the political aspects of the offence were outweighed by the criminal aspects. But designation of an offence such as a terrorist offence as ‘non-political’ in an extradition treaty is not determinative of its character, and the political element of a crime must be considered on a case by case basis (see UNHCR Background Note para 42). A refugee claimant cannot benefit by the designation of a crime as ‘political’ if the aims breached fundamental human rights. This would apply to crimes designed, for example, to impose a dictatorship or a racially or religiously discriminatory regime. As noted above, the exclusion clause is the only one to have a temporal and territorial limitation, in that it applies only in respect of crimes committed outside the asylum country before admission as a refugee. Crimes committed after admission of a refugee or in the asylum country can, if particularly serious, found withdrawal of protection from refoulement under Article 33(2) (subject to an assessment of the refugee as a danger to the community of the asylum country) but refugee status is not revoked or cancelled. - to serve as a centre for harmonising the actions of nations in the attainment of these common ends. - assistance in promoting the work of the United Nations. UNHCR’s position (para 163 of the Handbook, para 48 of the Background Note) is that the exception should apply only to those in positions of power in states or state-like entities. However, the European Court of Justice in the 2010 case of B and D ruled that non-state actors could in principle be excluded under Article 1F(c). In Pushpanathan v Canada  1 SCR 982, the Canadian Supreme Court held that someone engaged in drug trafficking could not be excluded under this head. The principles of responsibility underlying exclusion under Article 1F(c) are the same as those under Article 1F(a) (above). In KJ (Sri Lanka) v Secretary of State for the Home Department  EWCA Civ 292, the English Court of Appeal held that a foot soldier in an organisation such as the Liberation Tigers of Tamil Eelam, who had not participated in acts of terrorism and, in particular, had not participated in the murder or attempted murder of civilians, was not guilty of acts contrary to the purposes and principles of the United Nations and hence was not excluded from the Convention under Art 1F(c). Felix Nunez Veloso, IAB Decision 79-1017, cited in Hathaway p218. Middleton, Joe, “The exclusion net”, New Law Journal (N.L.J.) 2009, 159 (7371), 780. Fall 2013 issue of Michigan Journal of International Law,vol. 35, no. 1 (Fall 2013). It includes a special feature on the "Michigan Guidelines on the Exclusion of International Criminals."